Interim Austin Police Chief Brian Manley briefed the media on the existence of a video confession of Austin bombing suspect Mark Conditt on March 21. Interim Austin Police Chief Brian Manley says Austin bombing suspect Mark Conditt recorded a 25-minute video confession hours before his death early this morning. 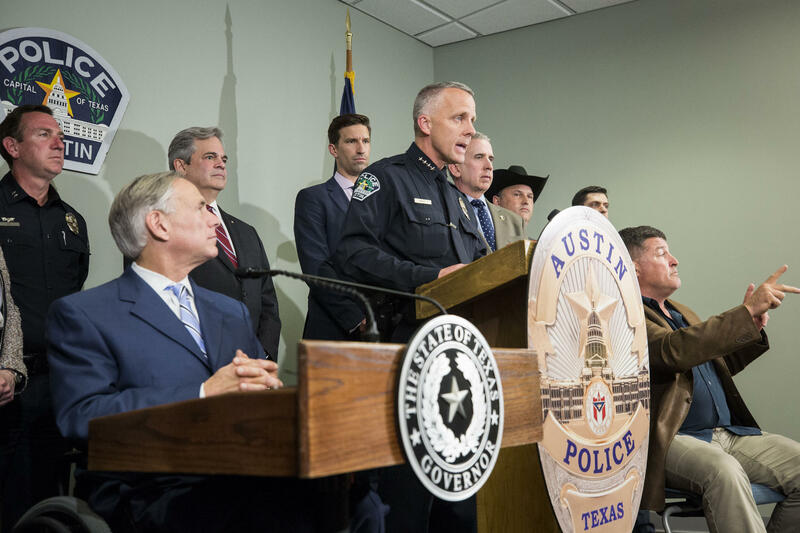 At a press conference this evening, Manley said the recording has led authorities to believe there is no more risk of finding explosive devices in Austin – but that it did not reveal a political or hate-based motive behind the serial bombings. Manley said Conditt described the six bombs he constructed and the device he detonated early this morning in Round Rock after a standoff with law enforcement. He described the devices with a level of specificity, Manley said, that has led authorities to believe that they can account for "each and every" bomb. Austin police found the video recording on Conditt after he detonated a bomb and was shot by an 11-year veteran of the Austin police force. Manley said it's not yet clear whether Conditt was killed by the blast or the shooting. He said the Travis County Medical examiner will make that determination, but that the "injuries he sustained from the explosion were significant." 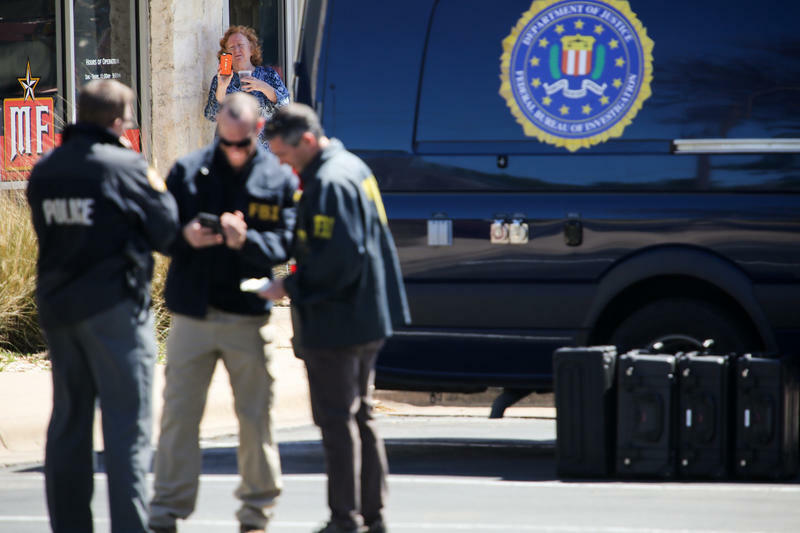 Manley also emphasized that the confession didn't detail any specific racially or politically motivated agenda behind the string of bombings that killed two and injured four people in Austin since March 2. "It was important to for this community to understand that his comments were not at all reflective of either a hate-based or terrorism-based approach to what he did," Manley said. Conditt recorded the video between 9 and 11 p.m. Tuesday, Manley said, and it will not be released until an investigation has concluded. Manley was joined by officials from the FBI, the Bureau of Alcohol Tobacco, Firearms and Explosives and the U.S. Attorney's Office. Austin Mayor Steve Adler and Gov. Greg Abbott touted the efforts of the some 500 law enforcement officials investigating the bombings. Adler said Austinites should "use this moment" to come together as a community. "We should know our neighbors better than we do and if we do that we will be a stronger and better community." 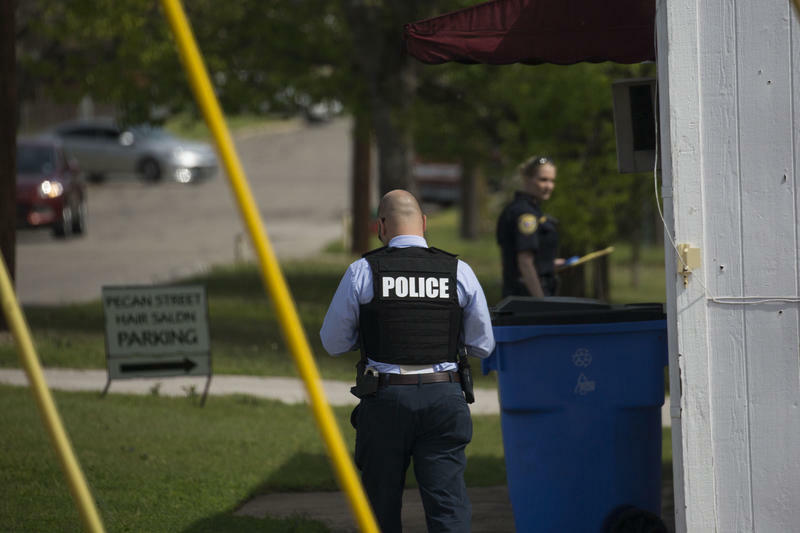 Over the last three weeks, a bombing spree in the Texas capital city shared eerie similarities to a string of Austin killings from 1885 that continued for over a year. Technicians have removed bomb components and homemade explosives from inside the Pflugerville home of an Austin bombing suspect who died early this morning, officials said. 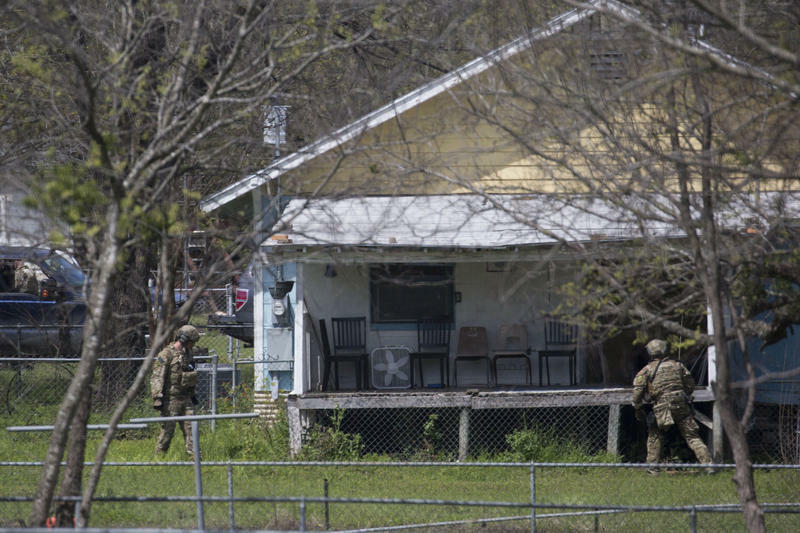 ATF Special Agent in Charge Fred Milanowski said the bombmaker had a "signature style" and that components in the house were similar to components found in the devices that exploded this month in Austin. One of the rooms had a considerable amount of bomb-making material, he said. Two package bombs found at two separate FedEx facilities in Texas today are connected to a string of bombings in Austin, local and federal officials say. 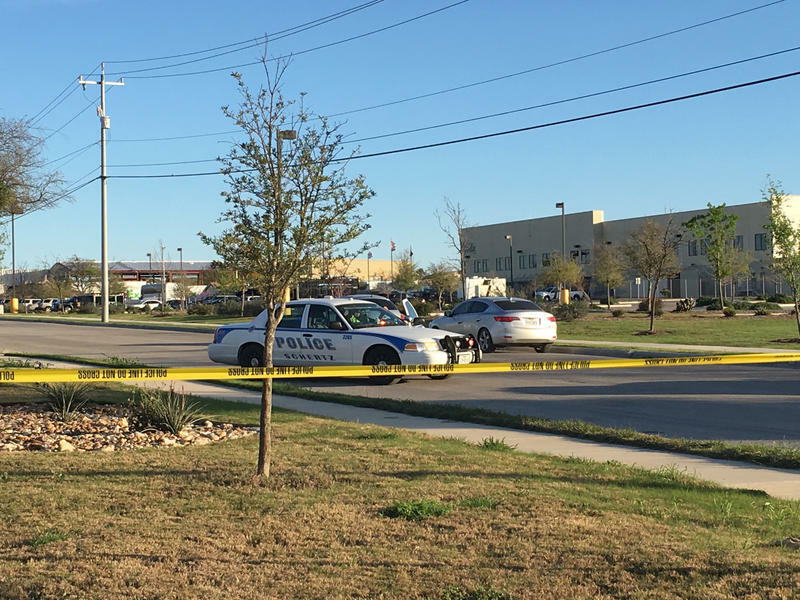 One of the packages exploded early this morning at a FedEx distribution center in the San Antonio suburb of Schertz. The other package was found at a facility near the Austin-Bergstrom International Airport. It is suspected that they may have been shipped from a FedEx Office store in Sunset Valley. Kyle and Joycelyn Olson keep a whiteboard on the refrigerator in their East Austin home. They used to use it for things like planning dinner, but these days it has another purpose. “What we’ve done now is we start to write down what day packages are supposed to arrive and when, even possibly noting the size of the package,” says Kyle Olson, whose wife had a baby this week.